I’ve always wanted to wear yellow nail polish, however I was a little apprehensive because my complexion has yellow undertones and I was worried it wouldn’t suit me well. However after much searching and longing I have finally found “The One” and that is Barry M’s Lemon Ice Cream nail polish! I’m a big fan of Barry M nail polishes. They’re reasonably priced and always have such an extensive range of colours, from bright neons, eye dazzling shimmers or comforting neutrals! Lemon Ice Cream is a glossy canary yellow, the same kind of shade as those Skittles sweets and captivated me the moment I saw it! It doesn’t clash with my skin but instead shows up considerably well, giving a burst of noticeable colour. The only gripe that I have ever had with Barry M nail polish is that you have to apply so many layers! To get complete opacity I had to paint at least 3 coats, but it could possibly have been 4. I’m slightly impatient so I generally favour nail polishes which provide good coverage after just 1 coat. At £2.99 per bottle though it’s not really enough for me to go on about, but it just means I allow myself a bit more extra time when painting my nails! 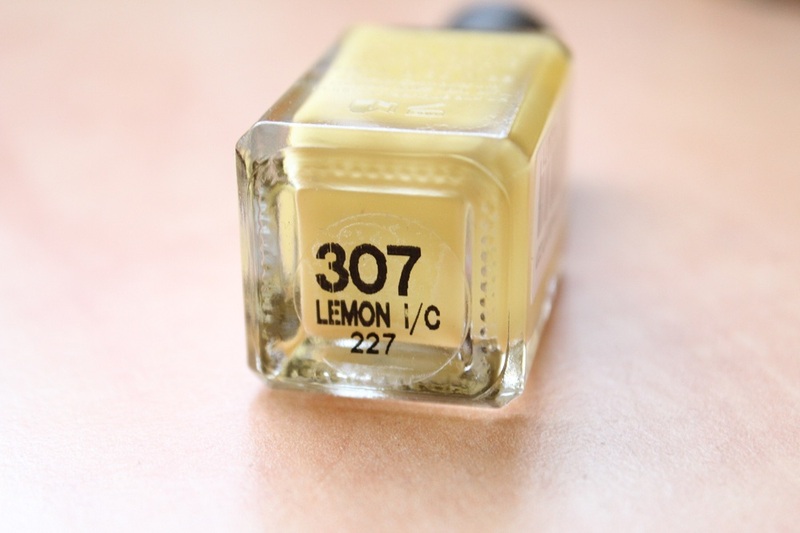 Have you tried wearing yellow nail polish? Are you a fan of Barry M? I bought some of this nail polish a few months ago and I really like it. I find that it dries a bit darker than the colour it is when it’s in the bottle, but that might just seem that way because my skin is pretty pale. I was really worried about actually wearing yellow polish because I tend to wear a lot more subtle shades on my nails, but I like it a lot and I think it’s a really fun colour, especially for the Spring/Summer! It also looks really good with gold glitter over top!